This weekend I met a good friend of mine in St. Cloud and after she left, I went to check out the Good Earth Coop. I can’t ever pass up a chance to check out a new coop! And I wasn’t disappointed. As soon as I stepped in the door, I saw them. 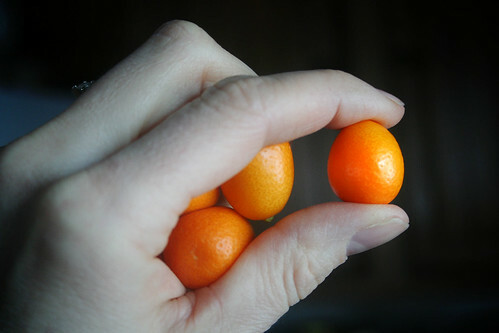 Like beautiful little jewels amidst the other produce…the bright orange kumquats called to me. I tried to hide my excitement as I quickly grabbed a bag and filled it with a bunch of these little goodies. If you’ve never experienced a kumquat, it’s quite unusual. You eat the entire thing…rind and all. The rind is sweet and the inside flesh is sour. A sweet and sour little candy…made in nature! I had these for the first time about 5 years ago in Lincoln, Nebraska…and have only had them maybe once a year since then. So it was a good day. I ate dates all the way home…intermingled with bites of my delicious crunchy apples…in a deliriously happy state 🙂 Fruit rocks my world. You are so funny!! I am sitting here laughing as I picture you in all your date glory!! i am ALMOST inspired enough to go hunt them down :)! Mmmm. I’m with you on the dates. You’re making me want to make a trip to Whole Foods. You’re also making me miss MN (I’m from the Twin Cities) – which you always manage to do every time you’re there. Aimee…you won’t be sorry. Hunt away! Nicole…sorry! I know…we love the cities too! After you apple and date post, I was intrigued and picked up some dates, love them! Really, I couldn’t get over the soft, gooey texture, kinda like eating a candy bar with caramel. So, thanks for the tip. Now you’ve got me curious about dates. I’ve never tasted them before. I don’t like raisins and I’ve always imagined that they would taste similar- but I might be brave and try one. Have you read Animal, Vegetable, Miracle by Barbara Kingsolver? It’s all about eating locally and so cutting down the carbon footprint of our food. I agree your choices are fun and nutritious but they’re far from local! I’ve always liked dates, my midwife advised me to eat them during my pregnancy as a natural way to get much needed iron. I have a three month old kiddo and I was interested in your recent post about how you started your little bella on avacado’s rather than the traditional rice cereal? Can you tell me more about that and any resources you recommend as we think about starting food in a few months? I’m loving your blogs, I’m new to the blogging world, but it’s so much fun to find “kindred spirits” out in the world! Okay friend, I just headed up to 14 Carrot to find some dates…I just came home with medjool dates…I sliced a few up, cut up a Fuji apple and jumped in…. DELICIOUS!!! Honestly I can’t believe that I liked them…the only problem is that they are EXPENSIVE!!!! I had all three of my sons try them and they all loved and begged for more “creamy raisins”…oh no we’ve started a date monster!!! 🙂 Thanks for the inspiration to try new things. I would have never tried them otherwise. 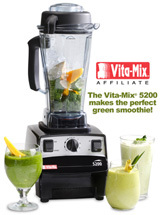 Also I was going to buy some kale for these green smoothies I am making and I saw that they had the lacinado kale you talked about….so I bought that for our smoothies tomorrow. What is the difference in lacinado and the regular kale? It sure is prettier and “thinner”. hocus pocus. here i am sitting totally inspired. i recently read in defense of food and that pushed me again to reevaluate what we are putting in our bodies, i made several instant changes. my dd’s are 9,7 +3 and they are perfectly fine with the slight changes i felt we needed to make. i will continue to make more little by little. when my first two were around 1 and 3 i was competely raw and felt so so so good. you have reminded me and challenged me to get closer to that again. i did read that you are not having too much fats [ie. nuts] but for a treat or something to offer raw at a party….blend some dates and strawberries, slice up some strawberries into that, put it in a bowl. then in a processor whirl together almonds and dates….press that into a pie tin, pour in the strawberry date mixture, chill in the fridge and viola….strawberry pie. it’s delicious…..be ready for something sweet with this one, it’s *very* sweet, but oh so good. reading st. cloud or minnesota also gets me feeling nostolgic 🙂 i grew up in brooten [i’ll be shocked if you heard of it] and lived in st.cloud for a spell as well with my dh. we’re out in california now, surrounded by an abundance of wonderful produce year round. i’ll have to check out your tour schedule for the west coast….our area is fairly green and you would surely inspire many people! okay. long enough comment, this should have just been an email.